Weddings are more than traditions + pomp and circumstance. We deliver a full range of floral services to creative, fun clients in central Virginia and beyond that are looking for something a little different. We prioritize local, interesting flowers that will add style and story to your wedding day. By combining color, texture and interesting ingredients, we’ll be able to turn your event into a remarkable + unconventional setting for you and your guests. We like to design with the good stuff. We care about texture, tone, and how colors play together. We care about the way flowers grow and bend in the garden, taking care to mimic this in our designs. We really care about how the flowers are going to make you feel. 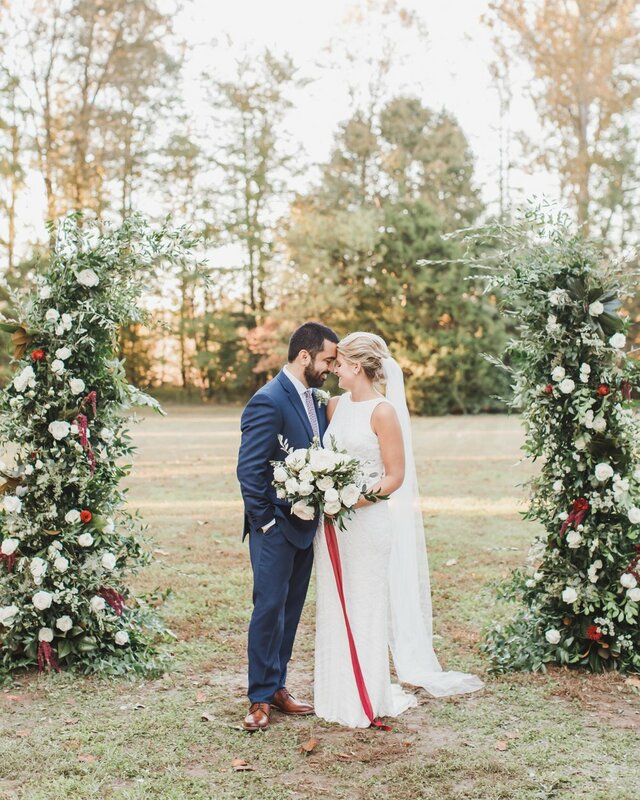 Amanda Burnette offers premium flowers with organic and eclectic flair for weddings + events in Richmond, Virginia and surrounding areas to couples of all types, shapes and sizes. Just like your event, pricing will be custom. Full service wedding florals (events that require delivery + set up) begin at $3,000. On average, we find that most full service clients invest $4,000-$7,000 on their wedding florals. Weddings that meet a $1,000 minimum budget can be picked up in our Church Hill Studio. "And when wind and winter harden/ All the loveless land,/ It will whisper of the garden,/ You will understand."